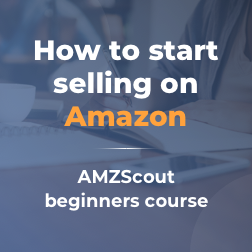 Here is some useful information that will help you start using our Amazon market research tool as effectively as possible so you can hit the ground running when you start researching your next product. Open your Amazon shop. You can open any page under any category (like Departments -> …) or enter some keyword for a product you are interested in into the search bar. Run the AMZScout extension by pressing the button on the top right of your Google Chrome web browser. You will get a new window with detailed information about the products of the Amazon page. AMZSсout can analyze any page of Amazon. Use it for checking pages such as the Main page, Stream, Gold Box, Movers and Shakers, Most Wished For and many others. These pages are littered with a great number of products that might have a huge potential in the near future. - Filter your list of products depending on the value of the indicator. A small switch near the Filter button will enable or disable filtering. When it’s orange the filter is on, when it’s blue, the filter is off. - Sort Amazon sales data in the spreadsheet by any indicator by clicking on the column title. To get the original order just click on the “#” title (the first column header in Basic, the second one in Pro). - Delete some product from the spreadsheet. Just move your cursor to the product number (on the left) and you will see “X” button to remove it from the list. - Show or hide some indicators. Click on the Options button on the top right of AMZScout extension window. Here you can select/deselect indicators that you want to show/hide in the product research results. - Check trends for your keyword by clicking the button Trends at the bottom. It shows you data on Amazon searches for the last 5 years. By default it shows data for the US market. If you want to change it to a different one just click on Google Trends logo and change settings. - Get data from the next / next 5 / next 20 pages by clicking the corresponding buttons at the bottom. - If you bring your cursor on the Rank indicator for a product you will see the product position in different categories. - If you move your cursor on a product name, you will see the product image. - If you hover your cursor over LQS value for a couple of seconds you will see more details about the quality of listing. - If you have doubts about the meaning of some indicator/column, just hover your cursor over a column title for a couple of seconds to see a hint. - Check the average values (average monthly revenue, average Amazon selling rank, average price and average net margin) to get an idea about the products niche quickly. - Try our web application! Our database consists of 20 million products. look for product ideas there and you will definitely find something worth your consideration. - You have 15 trial launches of AMZScout. We believe it is enough to appreciate the usability of our Amazon selling app. We hope this short guide will help you to use our extension more effectively. Good luck with your research!